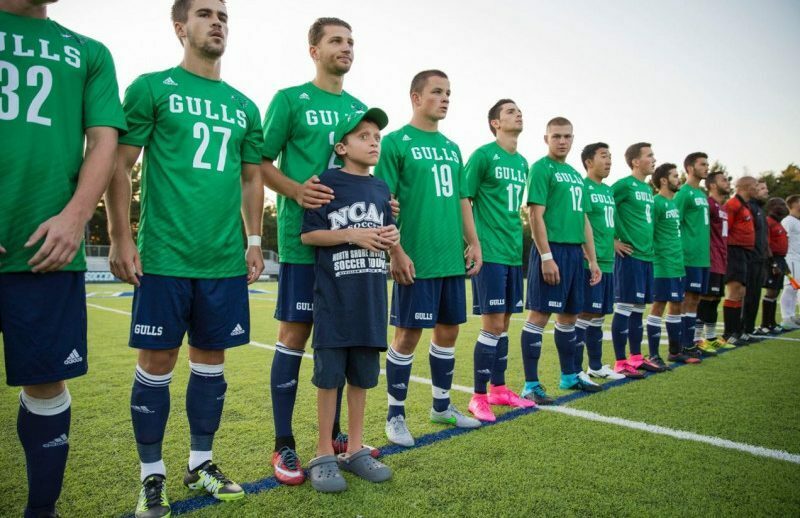 Join the Endicott College Gulls Men’s Soccer Summer Elite 200 ID Camp. It is a four-day identification camp that will from the 2nd of August until the 5th of August. It is inviting all high school male soccer players who aspire for a successful collegiate playing career. In addition, this event is going to provide the players with an opportunity to showcase their outstanding skills in front of top NCAA Division I, II, and III coaches. The program also will refine the player’s technical skills and tactical understanding. It will also cover sessions about athletic nutrition and strength and conditioning. Furthermore, this program is going to take place at the scenic Endicott College campus. It is set to main a 7:1 camper to staff ratio, thus, available spots are limited. It is important to note that participants need to bring their own soccer shoes, shin guard, and other necessary soccer gears. Endicott College is in Beverly, Massachusetts. It is a private coeducational college. It is a comprehensive university that is home to around 2,700 undergraduate students. 39 percent of this undergraduate student population are male students and 61 percent are female students. This undergraduate student population is also through a selective enrollment acceptance rate of 79 percent. Correspondingly, Endicott College’s student to faculty ratio is 13:1. Endicott College has facilities in international locations. These are in Bermuda, Czech Republic, Spain, Switzerland, and Thailand. The academic institution is also among the country’s bests. As a matter of fact, it is 34th in the Regional Universities North category of the 2018 edition of the US News and World Reports Best Colleges rankings. Endicott College is also 18th in the Best Colleges for Veterans rankings and 61st in the Best Value Schools rankings. Moreover, in sports, the institution has 20 athletics teams. They are competing in Commonwealth Coast Conference (CCC) which is part of the National Collegiate Athletic Association (NCAA) Division III. Their nickname is Gulls. Endicott College official colors are navy blue and kelly green. Its men’s soccer team has already two CCC Regular Season Championships in their record. 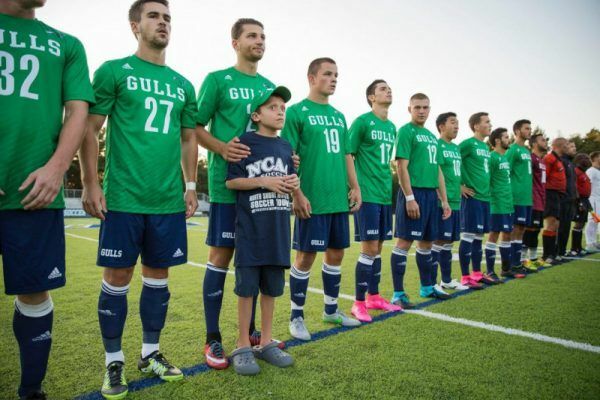 The head coach of the Endicott Gulls men’s soccer team is Joe Calabrese. He is now entering his 8th season at the helm of the Gulls men’s soccer program. Coach Joe Calabrese is a three-time CCC Coach of the Year awardee. A feat that he achieved consecutively from 2015 until . He also guided the team to an Eastern College Athletic Conference (ECAC) Division III New England Finals finish in 2015 and an ECAC Division III New England Championship in 2014. Then, an ECAC Division III New England Semifinals finish in 2012. And, an ECAC Division III New England Quarterfinals finish in 2011. Additionally, Coach Joe Calabrese is a bachelor’s degree in Business Management graduate from Westfield State College. It is also where he earned his master’s degree in sports management. Moreover, the Endicott Gulls men’s soccer team assistant coaches are Paul D’Angelo and Vincent Papageorgiou. Coach Paul D’Angelo is now in his fourth season with the coaching staff. He is a bachelor’s degree in Business Administration with a concentration in Organizational Leadership graduate from Southern New Hampshire University. Similarly, Coach Vincent Papageorgiou is also in his fourth season with the coaching staff. He is a bachelor’s degree in sport management graduate from Franklin Pierce University. The Endicott College Gulls Men's Soccer Summer Elite 200 ID Camp is a high-level and fast-paced soccer training program that is especially for high school boys who aspire to play at the college level. It is a four-day event that is set to run from August 2 until August 5. Available space is limited so registration is on a first come first served basis.